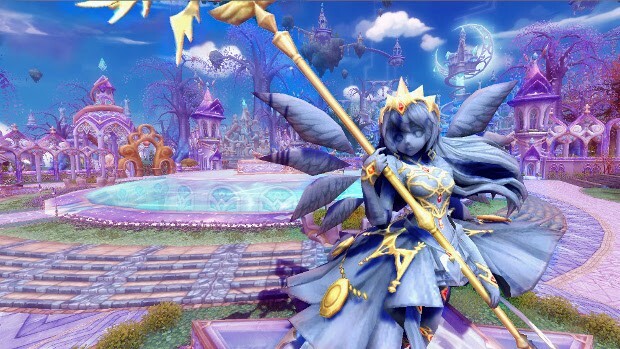 Twin Saga, the anime MMO from gamigo and Aeria Games, has officially launched. The commercial version of the game has been visually rebranded and features a stronger focus on the story of the twin goddesses. It also offers new features, such as the completely new playable class, the Monk. Other additions include two new maps, “Sanctopolis: Prismatica” and “Santopolis: Constellacia,” as well as new dungeons and quests. All this new content also warranted a level cap raise from 65 to 70. A rundown of the launch changes is available in the Twin Saga April patch notes. if X-LEGEND are gonna copy 95% of World of Warcraft, why not copy the part where each gear item looks completely different so you aren’t part of an army of clones? When people say, “copy paste generic mmo”, they mean it. Then is an mmorpg for snowflakes.